LEGEND has it that during the final months of World War II, Japanese forces constructed underground tunnels in the Philippines to bury treasure worth hundreds of billions of dollars stolen from across Asia. Often referred to as “Yamashita’s gold” — named after General Tomoyuki Yamashita, who led the Imperial Japanese Army in the Philippines in 1944 — the loot is said to contain gold, jewels, statues and art. Now 75 years later, despite skeptics throughout the decades, the History Channel is taking viewers along for the adventure as it debuts “Lost Gold of World War II” this Tuesday, March 19 (10 p.m. ET/PT), an eight-part series to uncover one of history’s greatest mysteries. A Los Angeles-based Filipino man got to take part in the series as a cast member after he responded to a casting call looking for a talent of Filipino-American ancestry who has some knowledge on engineering and investigations. 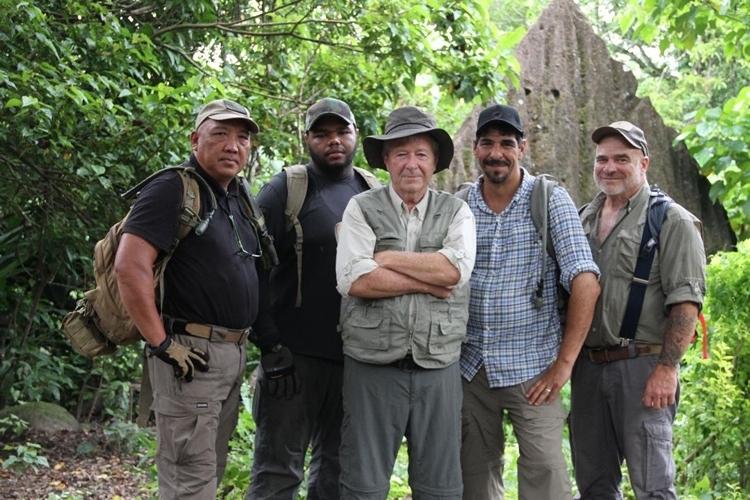 Manny Paez, Jeremy McMillian, Peter Struzzieri, John Casey and Brad Carr in front of a pyramid from HISTORY’s “Lost Gold of World War II” premiering March 19 at 10 p.m. ET/PT. That refers to the secret operation reportedly led by a group of princes to construct and booby-trap, using prisoners of war as labor, the underground tunnels for the treasure. “When I was a teenager in the Philippines, a lot of people were into treasure hunting and it was an activity I did as a hobby. So when [the post] mentioned Golden Lily, I knew this was something for real because not a lot of people knew about it, so I applied and got called by the casting agent…After many calls, eventually I landed the role,” Paez recalled. Produced by Ample, with Ari Mark, Phil Lott and Ed Gorsuch as executive producers, the team — composed of investigators and engineers — went to the Philippines in early 2018 to do preliminary shooting for the pilot. It was picked up by History Channel, which ordered the eight-episode series with Mike Stiller and Mary E. Donahue as the executive producers. The crew went back to the Philippines four times in the last year to finish the season, while some scenes were shot in the United States. In the first episode of “Lost Gold of World War II,” the team meets “Grandpa,” a Filipino farmer who had witnessed the operation during the war and for the first time is sharing his secrets with anyone else. “We love mystery. 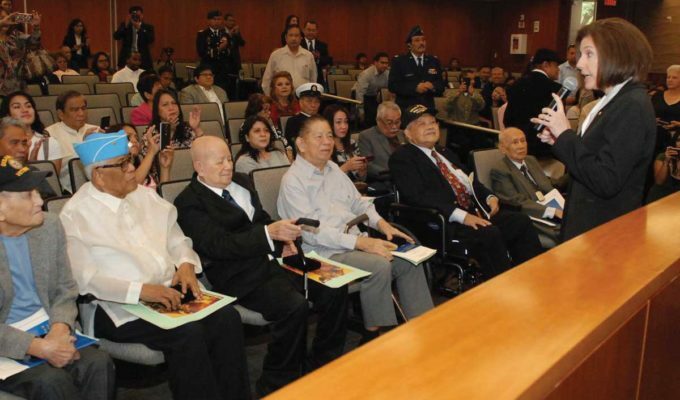 When an elderly Filipino rice farmer tells you he saw Japanese troops at the end of World War II, spending months bringing unmarked crates up the mountain in his remote village – you listen,” Mark and Lott said. The areas in the northern part of the Philippines are not specified in the show, however, because they are still active treasure sites. 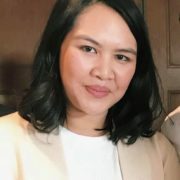 Currently, under Philippine laws, those who want to engage in treasure hunting need to secure a permit from the Department of Environment and Natural Resources (DENR). This “treasure” is utter nonsense. I wrote a book on the Philippines campaign, Yamashita’s role, and the trial that followed. In all my research, including examination of Yamashita’s message traffic intercepted by the US and his interactions with his lawyers, there was never a mention of any treasure, or any suspicion of a treasure, and Yamashita’s actions, and those of his troops, during this time would have made burial of such a thing utterly impossible. There has never been the slightest evidence of an actual treasure in the 75 years since that time. Shame on the “History” channel for perpetrating this hoax. (The book is Yamashita’s Ghost: War Crimes, MacArthur’s Justice and Command Accountability, University Press of Kansas, 2012). Pls! pls !Allan Ryan do not believe in Yamashita treasure and can you invite more people not to believe in Yamashita treasure? So the Philippines will not be flooding of treasures hunter .just let me take good care all treasure . I don’t want competitive.